Following his emphatic victory at Maver Hayfield Lakes on Saturday and being crowned 2018 Maver Mega Match This Champion, we are delighted to announce that the ‘Rossington Rammer’, David Burley, has signed a full sponsorship agreement. 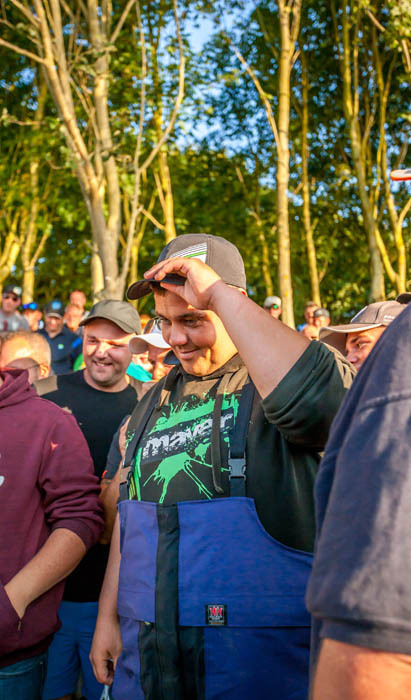 Dave, who joined angling’s most elite club after scooping European match fishing’s richest prize last weekend, is the most recent addition to our team of sponsored anglers and the latest in a long line of worthy Match This Champions. The Doncaster-based man achieved angling navada on Saturday September 2nd and etched his name into the sport’s history books alongside household names including Andy Power, Les Thompson, Zac Brown, Chris Cameron, Peter Upperton, Jon Whincup and Rob Wootton. Dave’s victory not only celebrated the eighth Mega Match This Champion in as many years (the third at Maver Hayfield Lakes), but also celebrated the culmination of hard work and countless hours of preparation for a talented local angler with a thirst for the big time and the determination to match – something an event such as Mega Match This actively welcomes and encourages. Just days after becoming one of angling’s biggest stars of 2018, Dave was offered a fulltime sponsorship deal in acknowledgement of his achievement. “I’m honoured to be asked to join such a massive company with such a brilliant and high quality range of products and the talented group of anglers they already have”. “I can’t wait to work closely with them on products and, hopefully, improve even more on my fishing“. “I’d just like to wish Dave all the best for the future”. Welcome aboard Dave and the best of luck for Mega Match This 2019 – you have a title to defend!